bite down gently and howl is a riff on Goldilocks and the Three Bears. In this piece of four intersecting solos, Goldilocks slips into her psyche to rouse archetypes of woman, man and child. Accompanied by songs of Nancy Sinatra, the resulting portraits are saucy, pathetic and poignant. bite down gently and howl is a danced fairytale that considers how the animal nature within us invites love and loss. “The loss we fear in a relationship has in fact already occurred. We no longer have a father and a mother to protect us, and if we nourish any such hope it is but an illusion…When one understands that one has already lost all, then one begins to take up the cudgel with oneself.” Aldo Carotenuto – Eros and Pathos. Choreography: Ziyian Kwan in collaboration with Barbara Bourget, Vanessa Goodman and James Gnam. 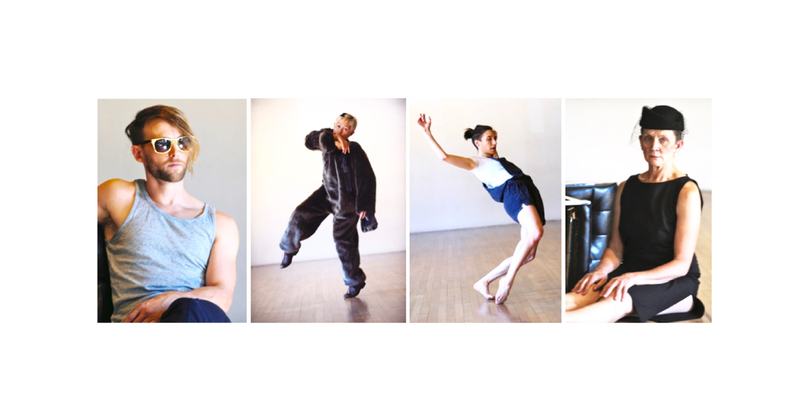 Created and premiered in residence at EDAM Dance, November 2014.